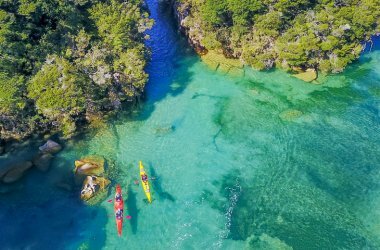 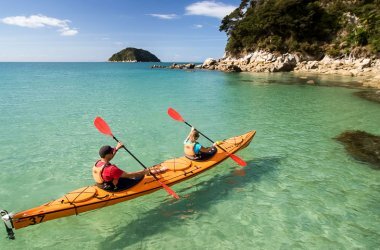 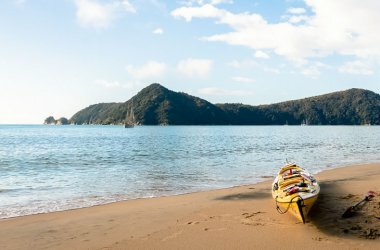 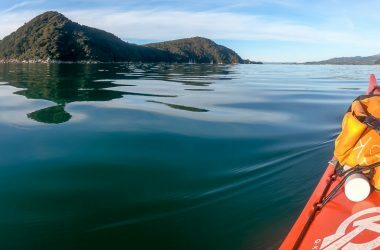 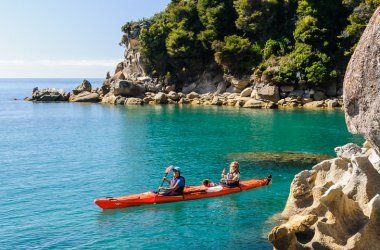 Freedom kayak from Marahau to Onetahuti exploring the incredible coastline along the way and spend two nights at beachside camps of your choice. 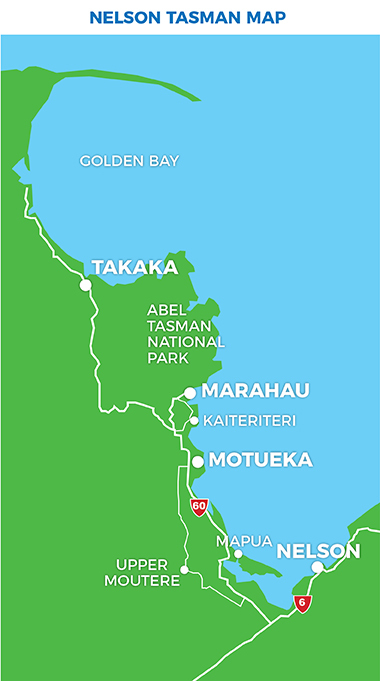 Walk the last stretch to Totaranui! 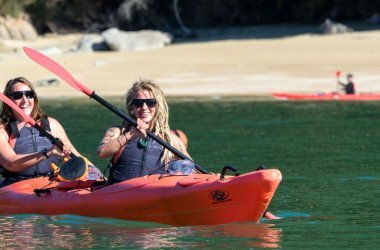 We provide you with a kayak and all of the safety gear you will need for your two day kayaking adventure. 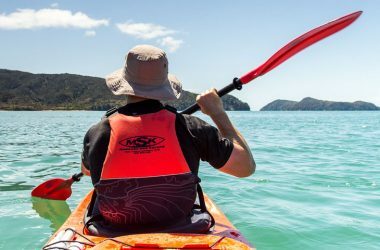 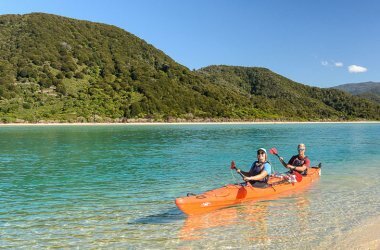 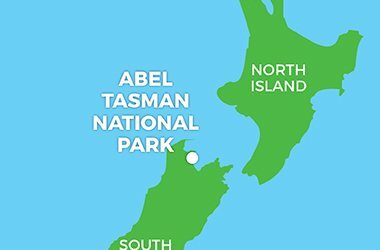 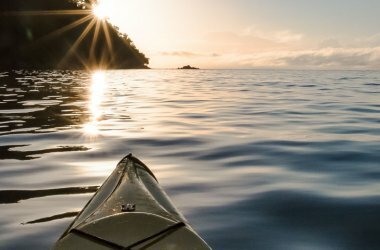 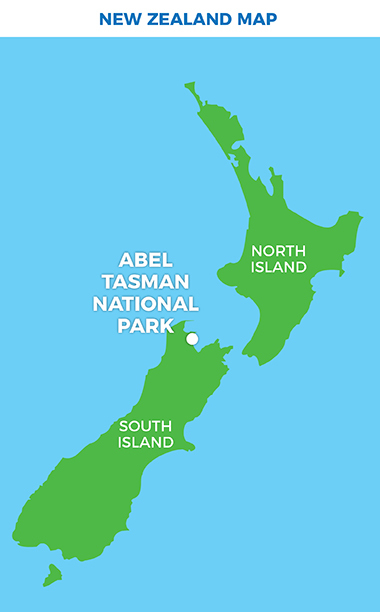 After a briefing and instructions on how to use the equipment by a friendly kayaking instructor, you set off from Marahau, paddling north towards Onetahuti exploring the incredible granite coastline, tidal inlets, offshore islands and the endless progression of golden-sand beaches along the way. 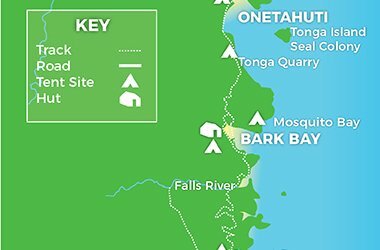 Camp at beachside campsites of your choice along the way. 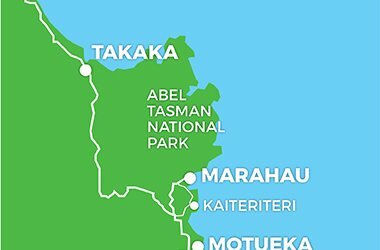 On your final day, walk from Onetahuti to Totaranui before being whisked back to Marahau on a water taxi. 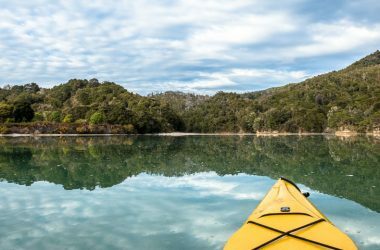 This package includes your DOC camp passes for both nights and the return water taxi trip for you and your kayak.